Whether you're looking for a security solution that doesn't look like a jail, or just a unique divider for your home or business, I can design and build it for you. 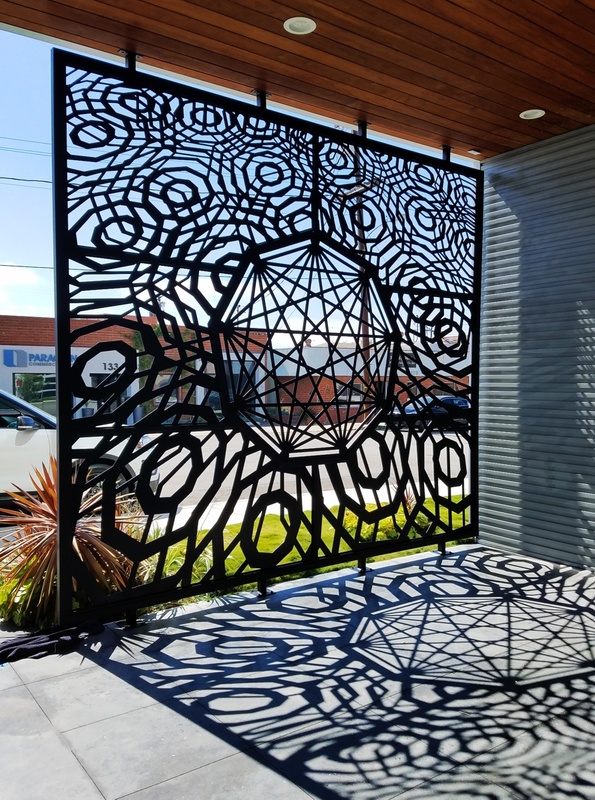 Nonagram Patio Screen This is a larg patio screen (12' x 14' approx) constructed of seven separate panels of laser-cut steel welded into a the larger whole. The center panel depicts the 9-sided symbol for the Enneagram. 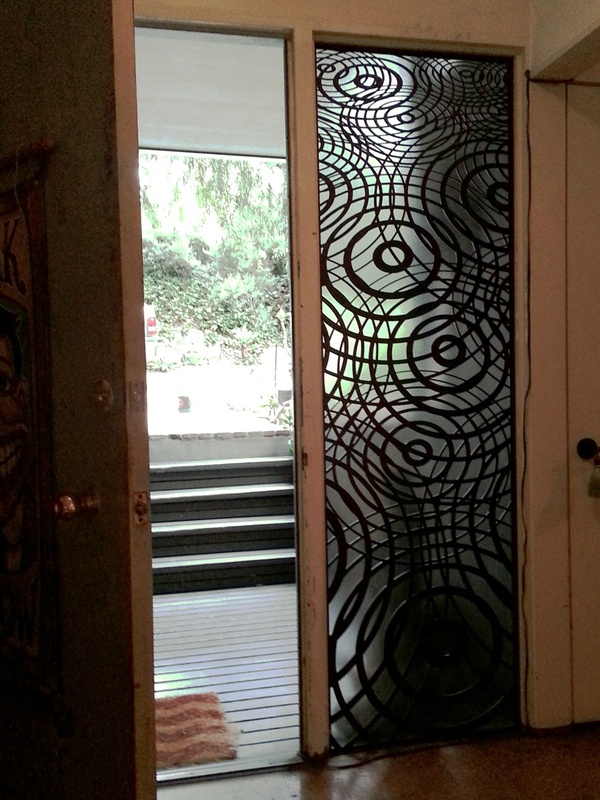 Ripple Screen Entryway door side-light security screen. Cut from 3/16" sheet steel using a unique forced perspective water ripple pattern. 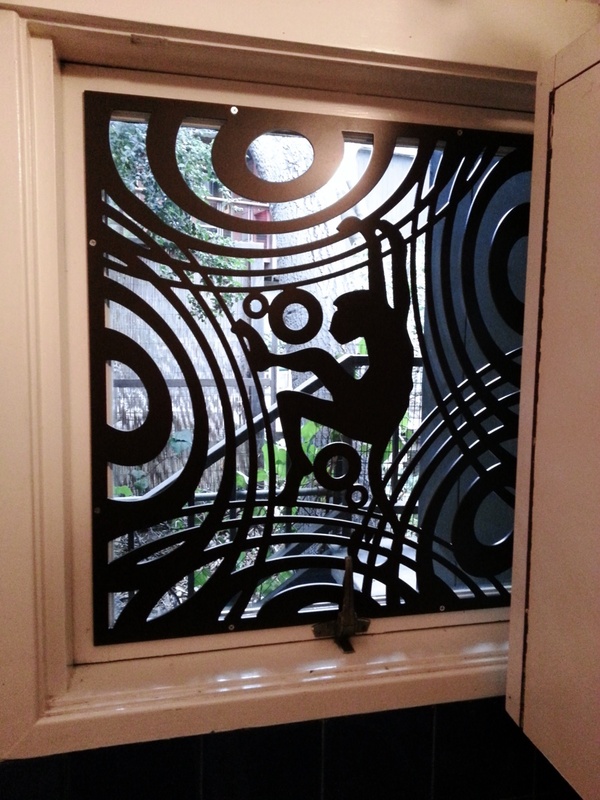 Monkey Ripple Window Screen A whimsical window security screen based on an abstracted monkey theme. Maple Leaf Fence Topper I created an alternative to concertina wire using a modified maple leaf design. 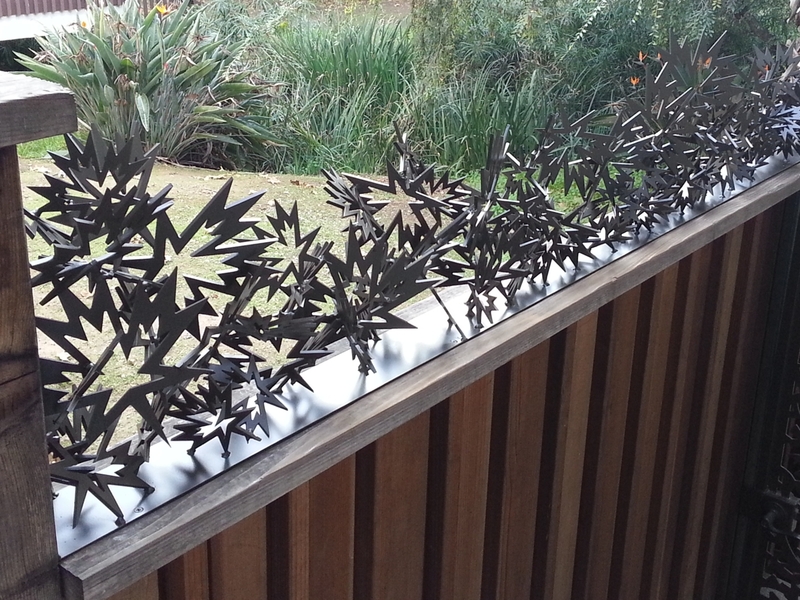 These leaves are welded in a random pattern to prevent anyone from being able to climb or step on the maple leaf area. Price varies depending on project.